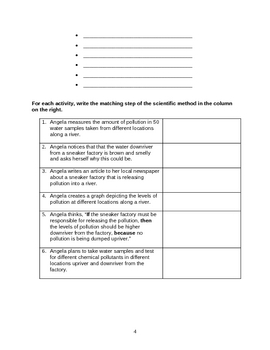 Two and half page worksheet. 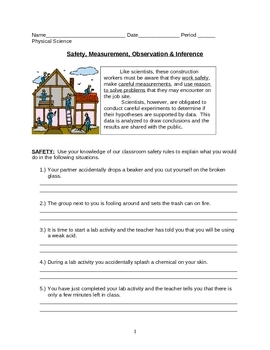 Students go over your safety rules (you might have to tweak this to fit your rules)by five example situations and what they would do. 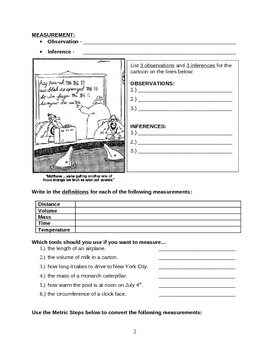 Next, they define Observation & Inference and use a "Farside" cartoon to list the observations and inferences. Then they define Distance, Mass, Volume and temperature. 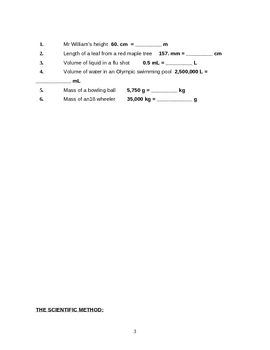 Ends with some metric conversions.